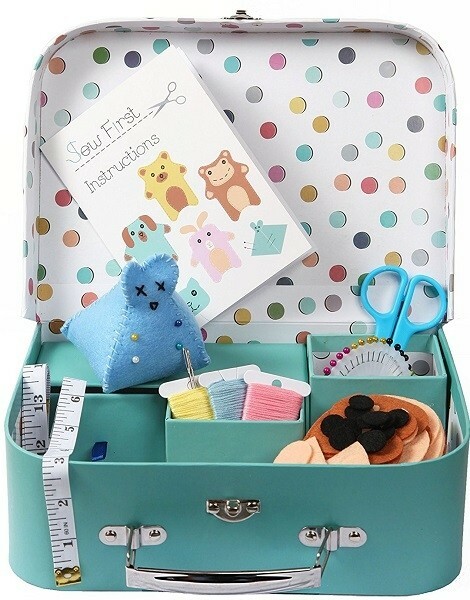 This sewing kit from Sew First was designed by a sewing mom specifically to help kids learn to sew! 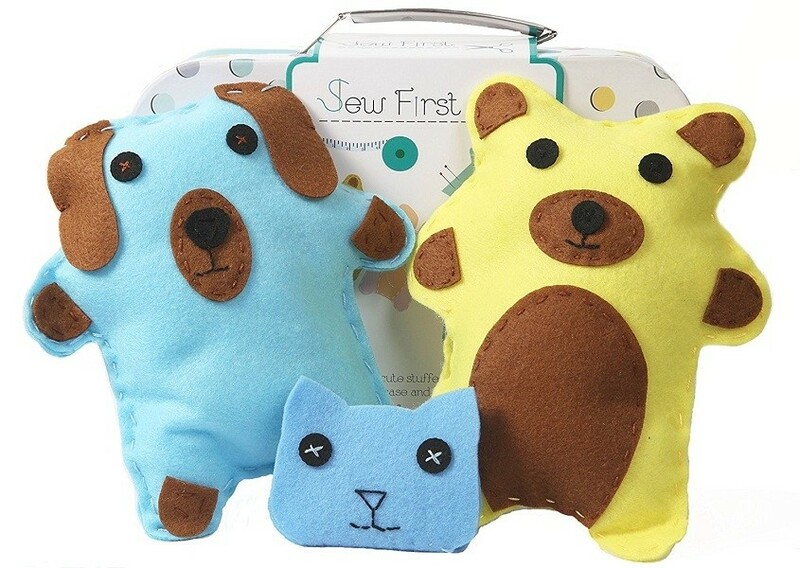 Kids will have hours of fun making easy to stuff animals to love or give as gifts and sewing accessories to use and keep for a lifetime. 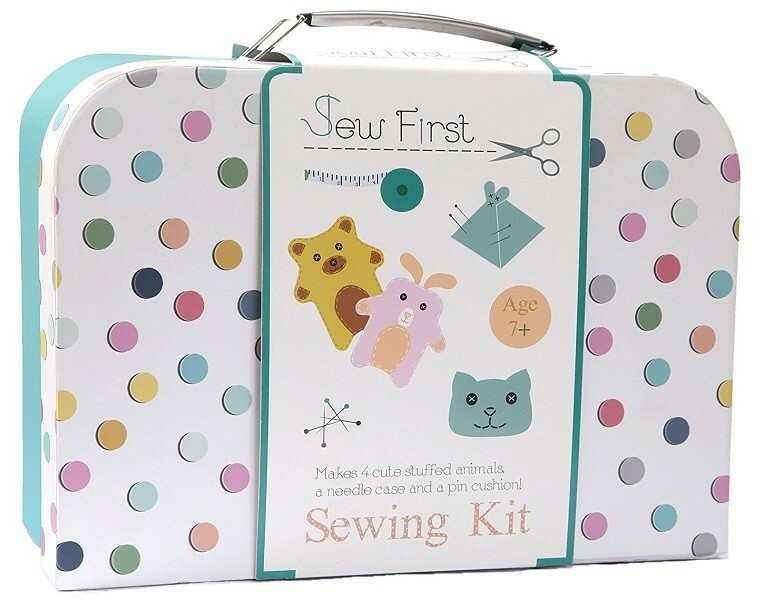 Because kids are doing real sewing -- including choosing where to place the features -- no two kits will ever look the same. 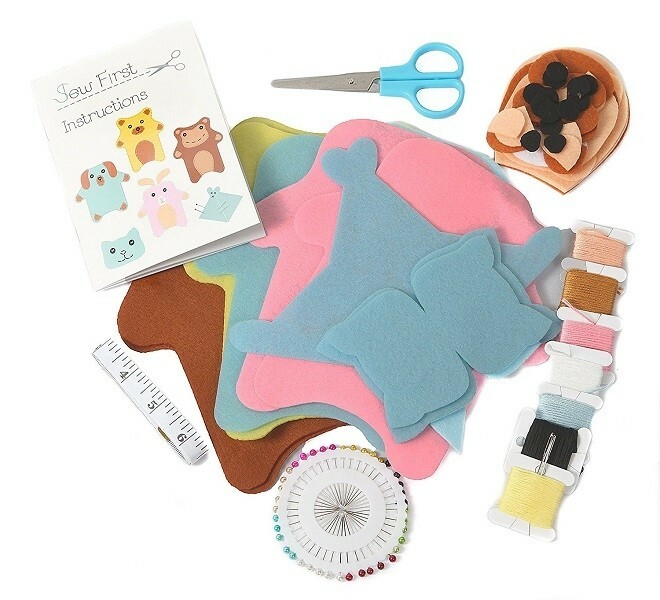 This set comes with over 45 soft felt components, a colored pin wheel, sharp scissors, a tape measure, two needles, 45g of stuffing, 7 embroidery threads wound on cards for ease of use, and detailed instructions with diagrams. 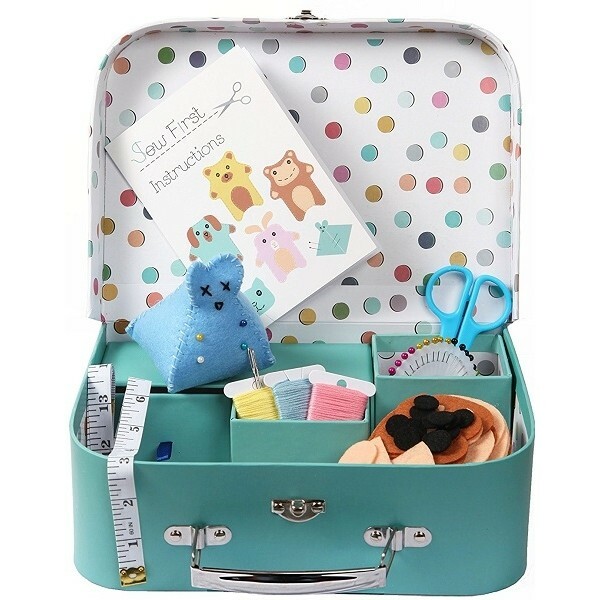 It all packs into the cute reusable case, with pot and drawers for storage.